Tyre with a slotted internal section for ridged rims like the Dinky 153 Aston Martin and the Spectrum Patrol Vehicle. Tested to fit on the 103 Spectrum Patrol Car and found on some issues of the 100 FAB Lady Penelope's Rolls Royce. 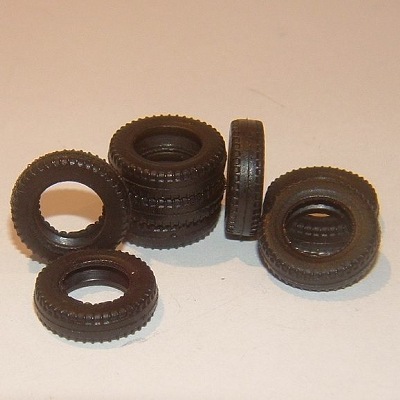 Some early editions of the FAB1 and some of the other TV Theme models have the smaller hubs that use the Y032 tyre, please check your hubs before ordering. Measurements are 15mm - 16mm OD: 4mm Wide: Slotted ID 9mm increasing to 10mm or so internally to accomodate the raised hub centre ridge.